If you’re an English language lover, you’ve probably heard that quote “English doesn’t borrow from other languages. 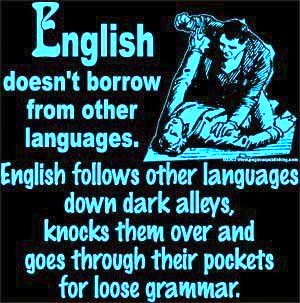 English follows other languages down dark alleys, knocks them over, and goes through their pockets for loose grammar.” It’s a meme somewhere. Anyways, unlike French or something, which has a very neat and organized chronology, and the word all at least look French, English… Well, English is a bit weird. And when I say, ‘a bit,’ I mean, a lot weird. We have words like martyr, which is of French origin, or skirt which is Scandinavian, or accuse which is Old English. Aficionado is a Spanish word, and Tsunami is Japanese. Where does English get all these different words? And why is it not normal like other languages? The first language in England, the land of English, was the language of the Celts. Celtic people’s lived and loved and breathed and grew in England. They named the places. English really liked their place names, so when they left, English took them and left the rest. Celtic was also a poor language, so English only really took what it could get from Celtic. The second language to invade the land of English was the language of the Romans: Latin. Latin came with the Roman invasion, and it was a rich language. English stole a lot of words, grammatical structuring, and linguistic charm from Latin. Though we may not think of English as a Latin language (it’s not one of the five romance languages, and technically English is a Germanic language. But English most certainly went through Latin’s pockets and found some pretty awesome words, like novel, picture, and language. 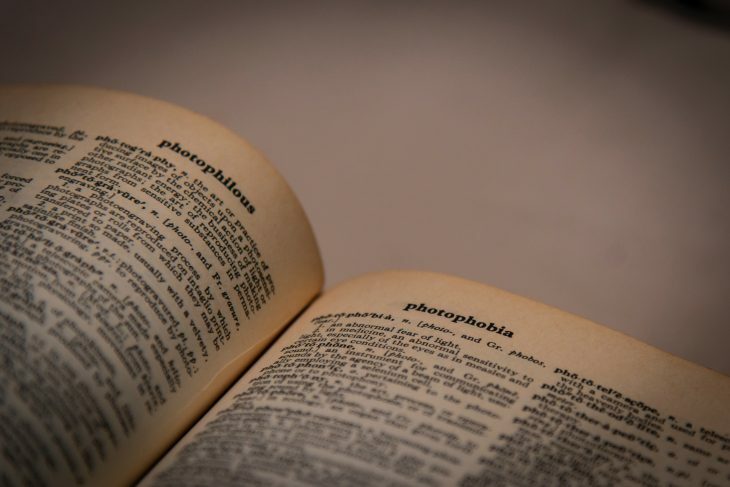 These words have Latin roots nova meaning ‘new’, pictura meaning ‘picture,’ and lingua meaning ‘language.’ English really didn’t do too much to make most of these words their own. English isn’t really hiding the fact that it stole these words. In fact, English is rather proud of his thievery. Thankfully, another language came in, so English didn’t become Latinized like other European languages (lookin’ at you, French). The Anglo-Saxons came after Rome. These people were Germanic peoples who came in, saw the Celts, saw the lack of Romans, and thought “hey, we’ll settle down here. It’ll be fun.” So, they came. And English, already laden with words from the Celts and Latin, decided that it would add to it’s store of words. This is where it grew into what is considered Old English. It was written in runes, or a 31-letter alphabet called futhorc. By this point, according to Winchester, “The vocabulary of Old English—with its total lexicon amounting to perhaps 50,000 words—depended to some degree on borrowing from the available languages that were already being spoken in the British Isles.” And the available languages now included Norse. The language of my people. The Vikings raided and pillaged, the Danes came and conquered, and according to Winchester, “both sets of northern adventurers introduced into English hundreds of their own words—many that turned out to be of the most profound importance and yet, in terms of their exoticism and interest, among the most prosaic in the tongue.” England may have been pillaged by the Vikings, but English did its own pillaging of the Scandinavian languages. English words such as skirt, awkward, reindeer, them, skin, and rotten all were pillaged from Scandinavian languages. And then the French invaded. Technically it was the Norman French, in the Norman Conquest of 1066. French conquered England and for 300 years French tried to squash English. But English would not be squashed. Instead, he stole from the French and used their vocabulary to spice up his own. Winchester says that “the English language, reviving itself from its mysterious dark age, was including and assimilating new French-originated words, speakers and writers using them as replacements for words that had vanished during the time when spoken and written French did dominate the nations language. Examples include such words as cardinal, sugary, blanket, and so forth. The French influence on English certainly does not go unnoticed. French very nearly destroyed English, but English’s resilience won out. And then came Modern English. English continued to steal, but also began organizing, molding, and structuring his own words. “In the Renaissance it doubled again” says Winchester “such that by the beginning of the seventeenth century there were reckoned to be at the very least 200,000 knowable words waiting to be used.” English got these words from languages like Latin, Greek, Italian, Spanish, Portuguese, French, but also India, Turkey, Arabia, Japan, and North America. This is the age in which Shakespeare wrote. Shakespeare was the first to put into use many of the words, such as the word accommodation (seen in Othello). He also invented a number of words, or championed the cause of words) that never survived into the use of the language, such as besort, soilure, and vastidity. The English language continues to grow and expand, stealing pretty words from pretty languages. English as a language, much like the English hero Robin Hood, has a history of stealing from the rich to give to the poor, even if the poor be its own self. The English language has a rich and complex and beautiful history combining multiple different languages into one massively rich language. This language can use its words to make a person laugh or cry, weep and moan, rage and fume, and show people the complexity and beauty of life. English as a language has had a wonderful life, and continues to grow and expand and produce more beauty in its wake.